Central Croatia lies between the mountainous southwest and the Slavonian plain in the northeast. This continental region is economically progressive and populous, with the northern part particularly developed for recreation and tourism. Lovely old towns and villages, beautifully preserved medieval castles are set among hills, mountains and unspoilt forests throughout the region. The region has excellent local wines and rich traditional cuisine. Other attractions here include a great number of churches, museums, galleries, archaeological sites and thermal springs. Karlovac was built as a fortified city in 1579 and named after the Archduke of Austria, Karl von Habsburg. While the city successfully resisted seven invasion attempts by the Ottomans, many buildings were razed during the fire of 1594. The Croatian War of Independence from 1991 to 1995 also caused much damage to the city, leaving the Old Town, Zvijezda, in a state of devastation. Yet Karlovac’s star-shaped Renaissance layout has remained. 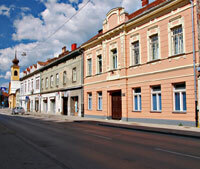 Karlovac’s prosperity declined, and the city has been slow to recover. But its location on four rivers has made it a fairly important centre of trade and transportation. The rivers—Kupa, Korana, Mrežnica and Dobra—are also now popular areas for swimming, sunbathing, picnicking and rafting. The city also has many green parks, a few hotels, retail shops, pizzerias and cafés. The popular beer Karlovačko is brewed in Karlovac. Hrvatsko Zagorje is a hilly region of small towns, villages, and a countryside dotted with medieval castles and fortresses. Orchards, vineyards and wheat fields take up much of the arable land. Thermal springs such as those in Stubičke, Krapinske, and Tuheljske have made the region a significant wellness destination, and modern spas, swimming pools, and recreation centres have sprung up to take advantage of these healing waters. 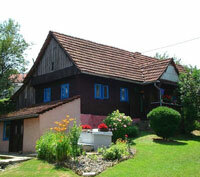 The shrine of the Virgin Mary in Marija Bistrica is a pilgrimage site. The region’s capital is the large historical town of Krapina, the country retreat of past Hungarian and Croatian rulers. 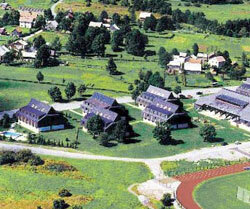 The Croatian dialect Kajkavian is widely spoken here, and a yearly song festival is held in its celebration. Hrvatsko Zagorje is mostly overlooked by tourists and remains quite tranquil.